Shadows and three dimensional effects are created by the cut outs in this artwork. The wall behind could be painted in a contrast colour. 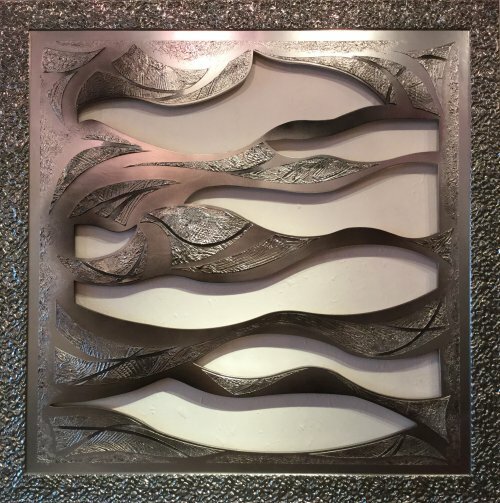 The elaborate bright silver frame which looks like molten metal matches the design and the finishes used. It is a truly stunning piece which would fit in to any interior scheme effortlessly due to the neutral colours, silver, grey, black and brown.